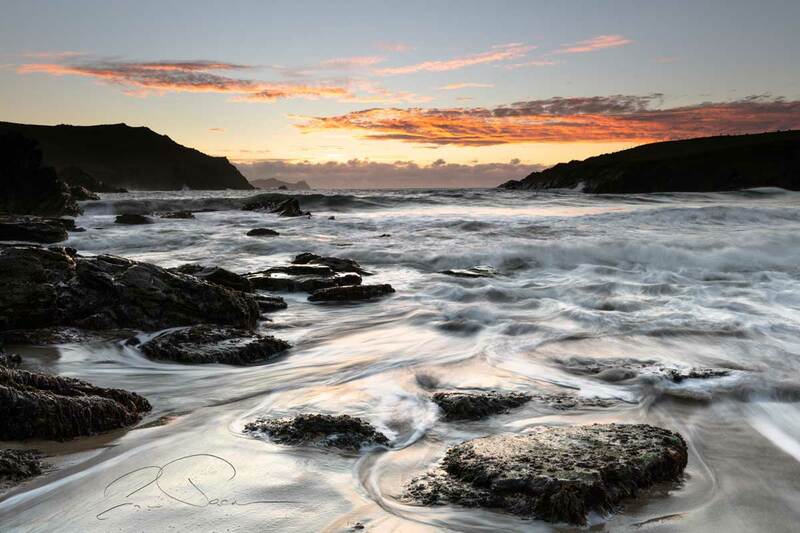 Join us for 6 days of photography in September 2019, based in Dunquin at An Portan Guest House, Co Kerry, Ireland, near to the most westerly point of Ireland at Dunmore Head. 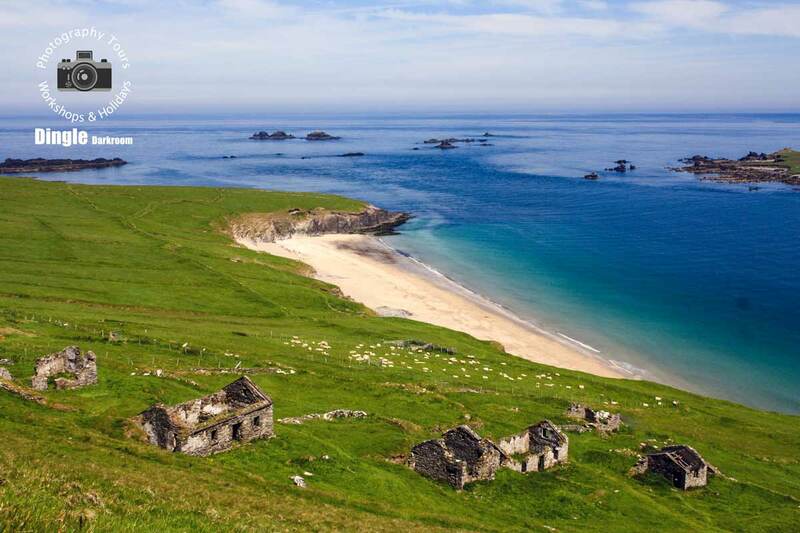 Explore the Great Blasket Island and the beaches, cliffs, hillsides and remote valleys of West Kerry with your camera, led by George Jackson, a photographer with an intimate knowledge of the Dingle Peninsula. Experience group and 1 on 1 photography sessions and learn to use your camera, phone or device to its full capability. 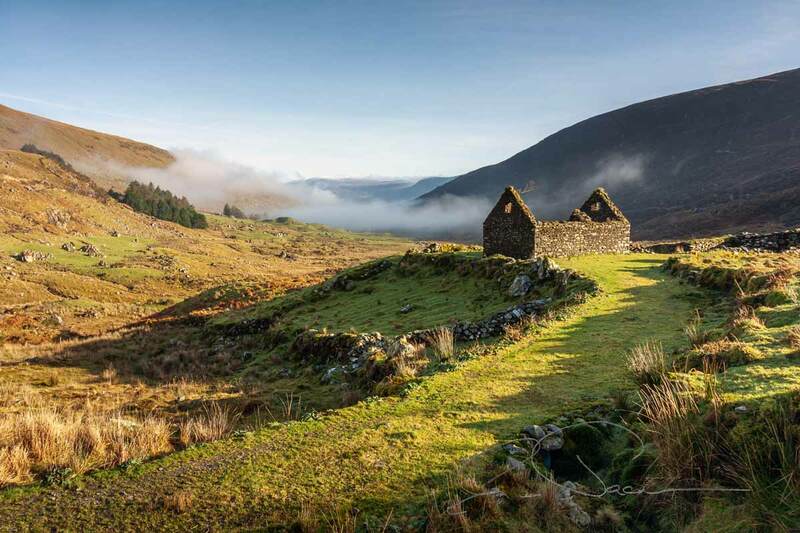 Improve your composition, use natural light to its full advantage, all the while practising and improving your photography at the wide variety of locations and interesting subjects that we visit around Kerry. 7.00 p.m. Sunset & dusk at a location in Dunquin. 9.00 – 10.00 a.m. Back to An Portan for breakfast. Daytime: We’ll learn more about your camera, using settings and techniques that suit your own ability and knowledge. Whether you take JPEG or RAW or just use your phone, we’ll begin to cover all the things both as a group and individually that you want to know to obtain better results. 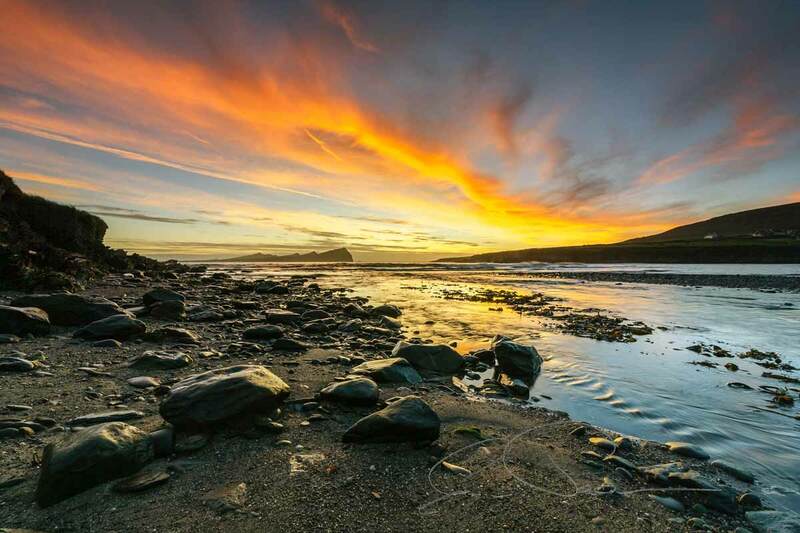 We’ll explore locations on the Dingle Peninsula with the option of taking a few short walks to explore further. As well as checking out and planning the location of our evening sunset and dusk shoot, we’ll begin to familiarise ourselves with graduate filters, creative phone apps, tripods and low light photography. 7.00 p.m. On to our pre planned location for sunset & dusk. They’ll always be a touch of flexibility within the programme as we require a fine day for the ferry crossing over to the island. Sunrise is early at around 7 a.m. and if conditions look favourable we’ll be up enjoying the early morning stillness and light for a couple of hours before breakfast. We’ll generally take a break around lunchtime wherever we may be and If we’re staying out for sunset and beyond into twilight, we’ll be arriving back at An Portan Guest House before 9.00 p.m.
7.30 p.m. Back to Dunquin Pier for a sunset & dusk shoot. We’ll arrive back in Dunquin for dinner, with time to spare to finish the day with a fabulous sunset over the Blasket Islands. 9.00 – 10.30 a.m. An Portan for breakfast. 10.30 a.m. – 1.30 p.m. If we’ve not had any time indoors we’ll begin looking at editing and processing our images to achieve better results using a variety of subscription, paid and open source editors and processors. 1.30 – 6.00 p.m. Break for lunch and free time to rest or explore the area – local options include Louis Mulcahy’s pottery café, Ballyferriter Village or Dingle. 7.00 p.m. Our final sunset & dusk expedition.